My dressing area is set up like my personal boutique with everything organized and displayed beautifully. This Lack bookcase from Ikea fits three pairs across perfectly, and there's room in the back for my special occassion shoes stored in their original box. 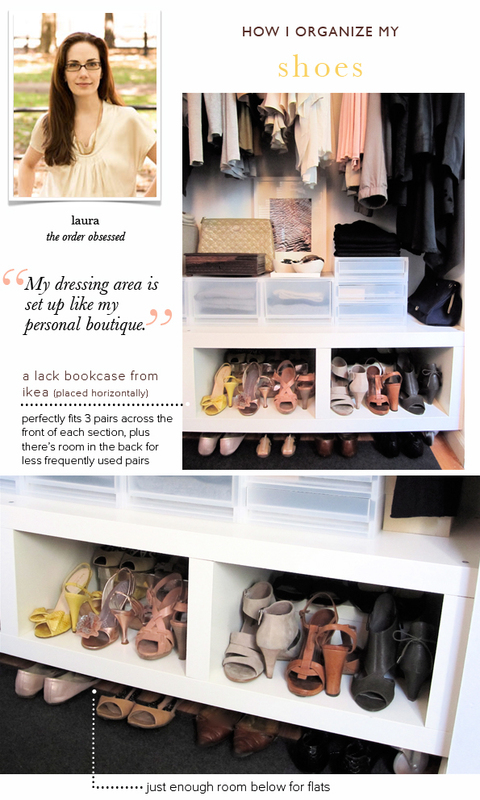 Positioning the shoes front to back saves space. Off-season shoes are put away to give more room and so I'm not distracted by ones I can't wear now.